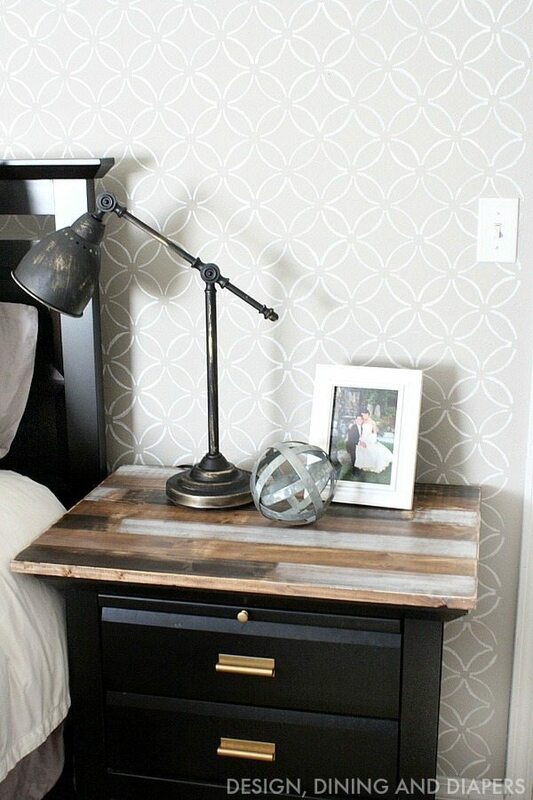 Remember last month when I revealed big updates to our master bedroom? Well, I have one last tutorial for you from the space! As usual, I’m always trying to repurpose what I have so instead of getting new bedside lamps I recycled the gold ones from phase 1 of the master bedroom update. 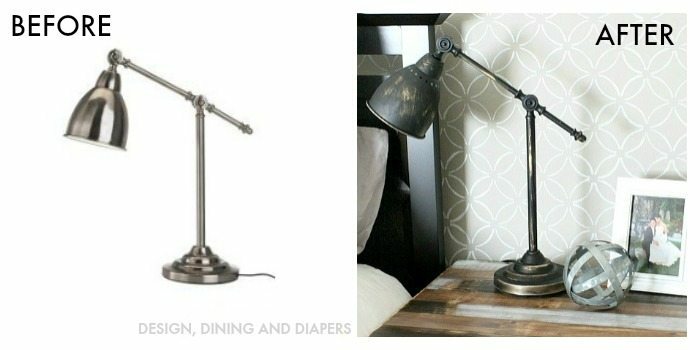 Today, I’m sharing some tips and tricks on how I gave these Pharmacy Style IKEA Lamps Faux Antique Finish in just three steps! I love the look of the Antique Pharmacy Lamps but they can often come with a high price tag. I found these lamps at IKEA for just $29.99 each. Now, ready for the easiest tutorial on how to get a Faux Antiqued look? 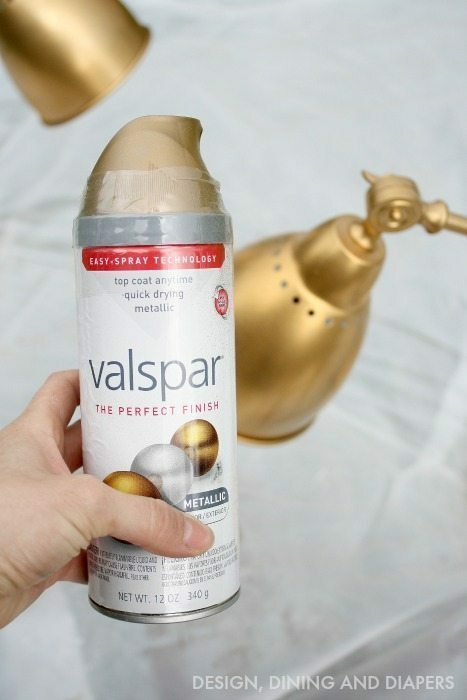 Step 1: Tape off the cord and give the lamp a coat of Valspar Gold Metallic Paint. Note: Normally when spray painting metal, I would use a spray primer first to help the adhesion. But in this case I didn’t use a primer because I was going to distress it anyway. 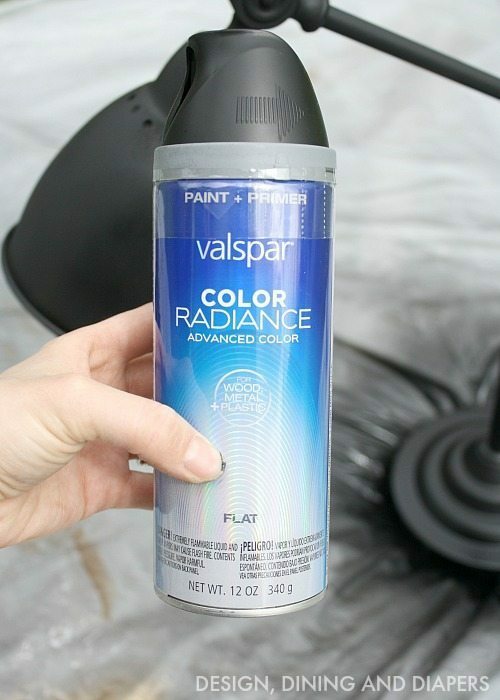 Step 2: After allowing it to dry, spray a coat of Valspar Black Flat spray paint. 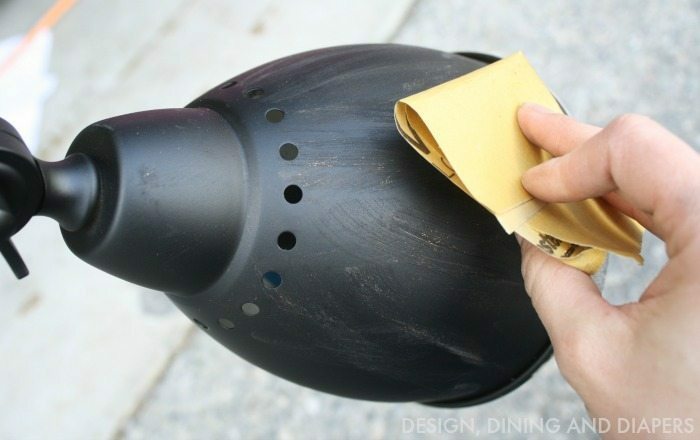 Step 3: Using 120 grit sand paper, gently rub the surface to remove some of the paint. To give it a natural look I focused on the edges and areas that would have the most use. And that’s it! It’s amazing what a little paint can do. The new look is perfect for our new bedroom. You can also find the tutorial for the nightstand top here and more on our master bedroom here. Note: I originally shared this post on Tatertots and Jello. ok, officially in love with your style!! 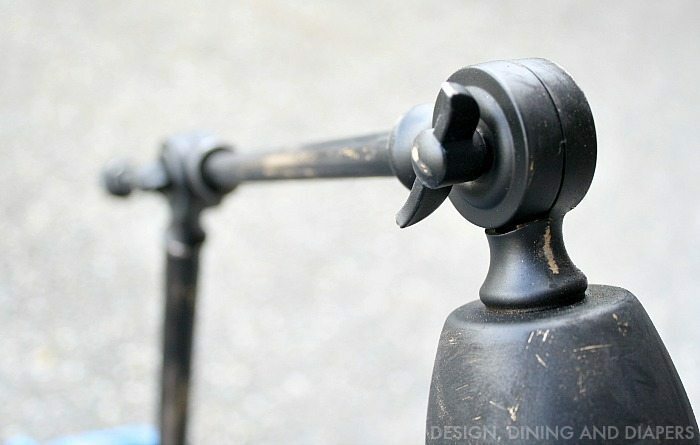 I love these lamps and I too am a lover of re-purposing what I have that I may be totally in love with anymore. excited to follow you, can’t wait to find more projects of yours! !